On 30th October, over 500 Uber drivers, Deliveroo couriers, fast food workers and outsourced cleaners took to the streets of London in protest against the conditions in the gig economy. The march coincided with Uber’s court of appeals hearing as the company, valued at $120 billion, was trying to designate its workers as “self-employed” in order to avoid paying them the national minimum wage, sick pay and holiday pay. This level of precarity has real and damaging effects on workers. Workers on sezo-hour contracts are 50% more likely to develop mental health problems than those in secure work. The pressures of low pay, of not knowing if you’ll get the hours you need from week to week, the feeling of insecurity in case you’re called in at a moment’s notice all contribute to the misery of huge swathes of workers. This is one of many reasons why precarious workers around the world are launching a fightback against the bosses. McDonald’s workers, who won a pay-rise by staging a walkout, vowed to continue fighting against zero-hours contracts and for a living wage for all McDonald’s employees. In the US, McDonald’s workers inspired by the #MeToo movement have taken action against rife sexual harassment and the company’s refusal to act to prevent it, as well as for a $15 wage. 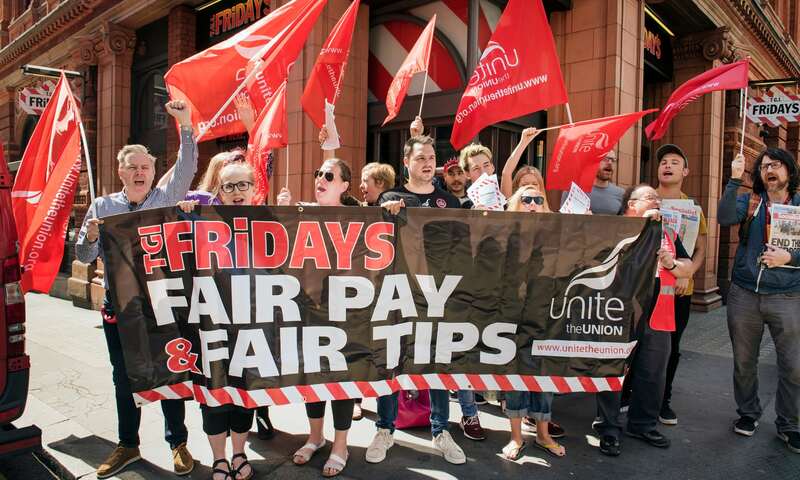 TGI workers in Britain have won their highly publicised dispute against the multi-million pound company. The dispute began when front of house workers were given just 48 hours notice that 40% of their tips would be redistributed to fund a pay-rise for kitchen staff. The workers rightfully saw this as a divide-and-rule tactic and demanded their tips were reinstated and the kitchen were given a real pay-rise at the company’s expense. Unite the Union have said that, although the concessions granted by the company represent a victory, this is only the beginning. 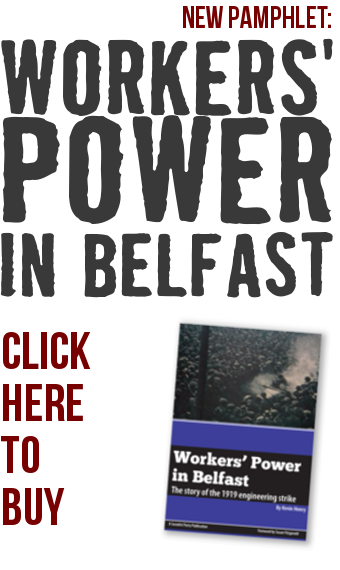 With the successful launch of the new Unite Hospitality branch in Belfast last month, the fightback is only beginning here as well. After the highly publicised victory for Boojum workers on tips, the branch is bringing together hospitality workers from across Northern Ireland who are sick of precarity, insecurity and low pay. The success of other precarious workers taking action is a model for the branch, and inspiration for all young workers who are seeing the real power of the organised working class for the first time.